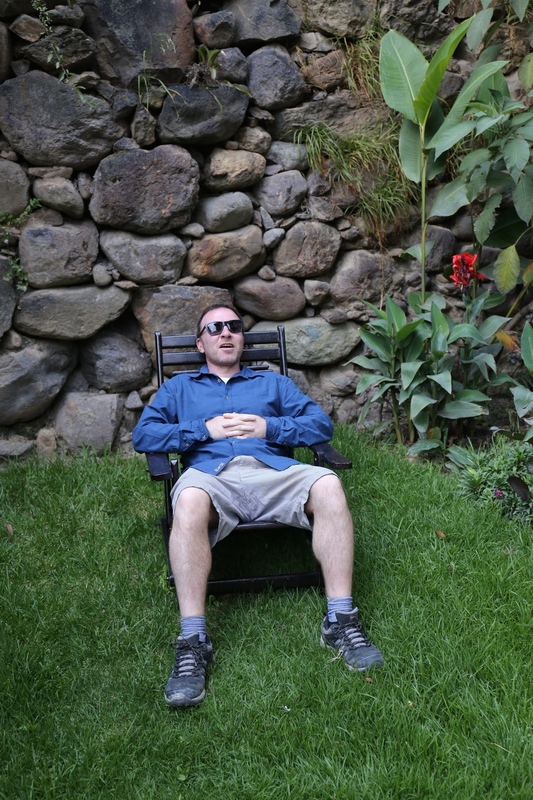 We awoke on Saturday 21st, after our adventurous drive through Peru, in reflective mood. 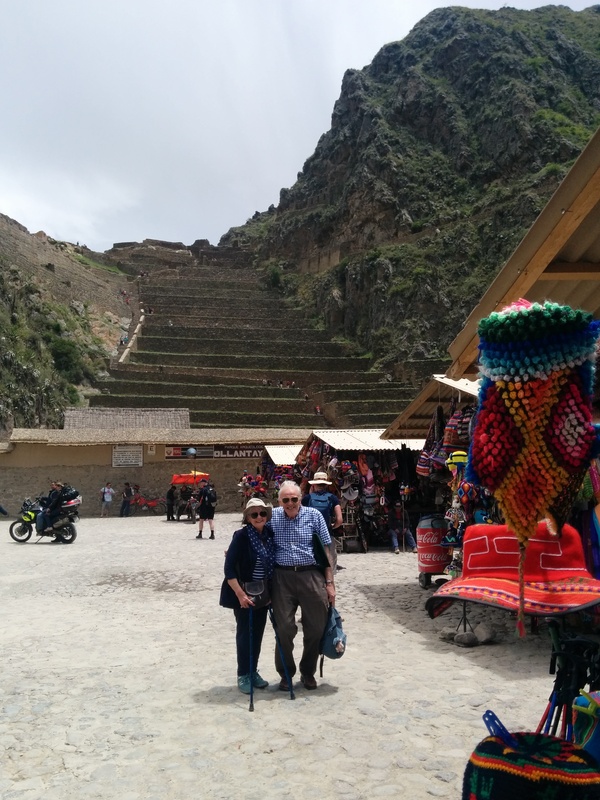 Ma and Pa grabbed a coffee in the picturesque setting of Ollantaytambo amongst the green mountains and snowy peaks, whilst Dan, Jim and I took a tour of the amazing terraces and temples. Fascinating stuff. 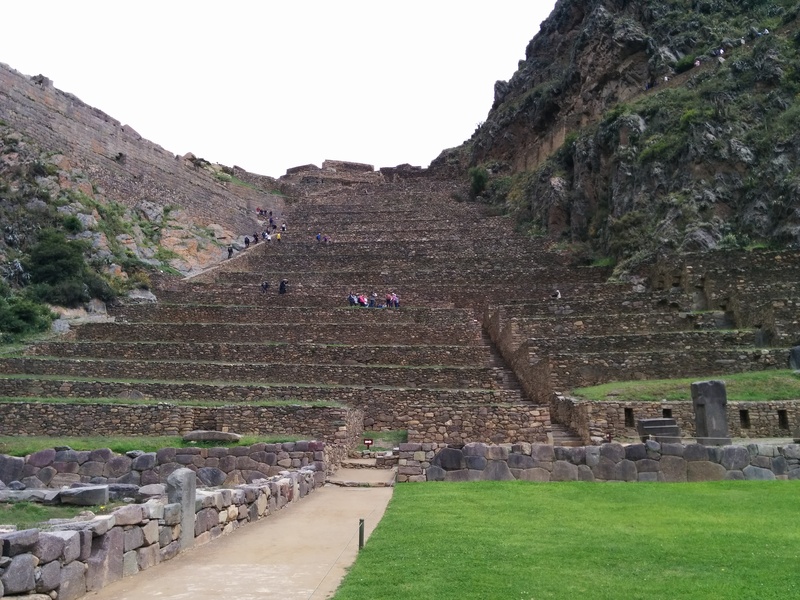 The terraces were ornamental and would have been covered in flowers, including lots of the bright pink national flower of Peru (Cantuta)….. 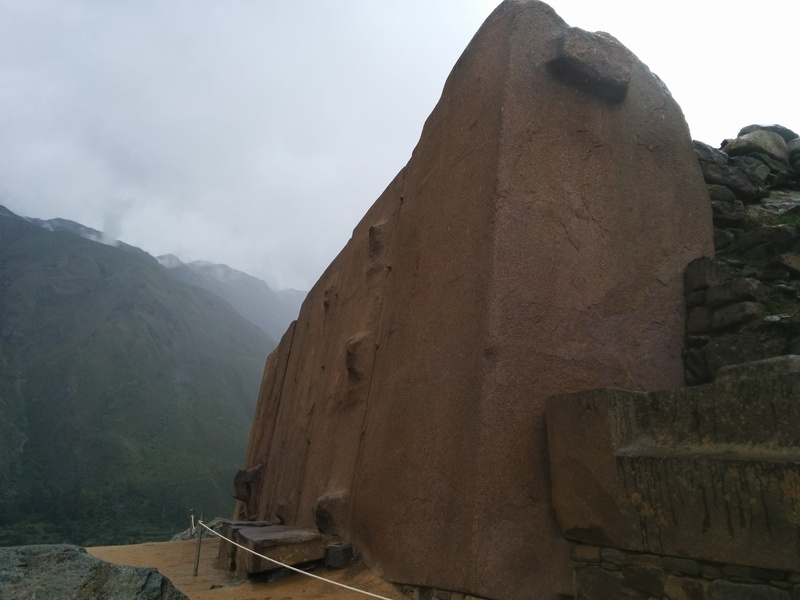 There is an older, pre-Incan Temple of the Moon, and the newer (apparently) Temple of the Sun. The new temple is constructed using huge pink granite blocks, polished and fit together like a jigsaw; no cement, just precisely cut blocks put together in a way that defies earthquakes and looks like perfection. You can’t get a piece of paper between them. There are, for example, 6 monoliths creating a wall – perfect. This is what I was most looking forward to seeing. Unbelievable construction. 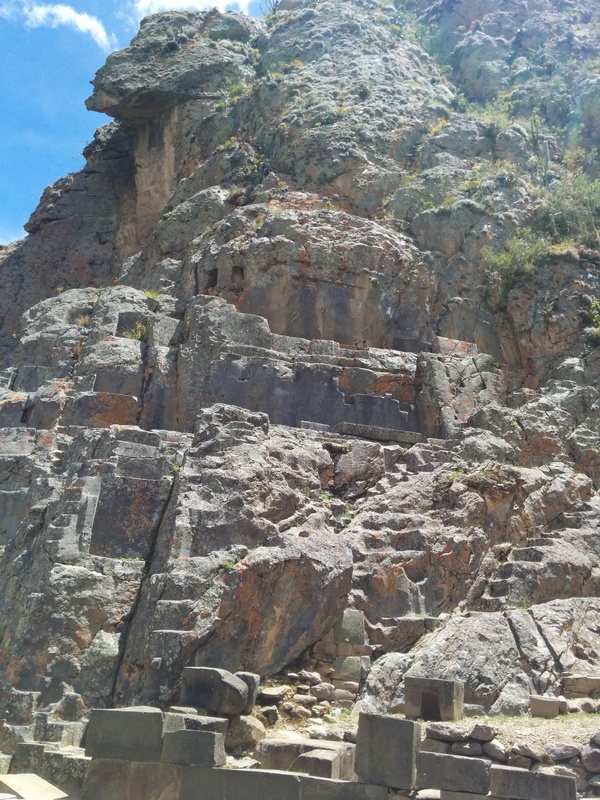 You just cannot fathom how they did this 800 years ago – the sheer effort of mining and moving huge rocks from a mountain across a valley, the cutting and polishing of granite, the lifting and positioning. They tried an experiment with a 25 ton rock and 240 people in recent years, and only managed to move it a few feet. Some of these rocks are 80 tonnes. You brim with respect, admiration and a yearning for unknowable answers in this place, it is what the word “awesome” was intended for. But that’s not all with the Incas, of course not. They harnessed water in amazing irrigation channels for crops and for ceremonial reasons (Temple of Water). 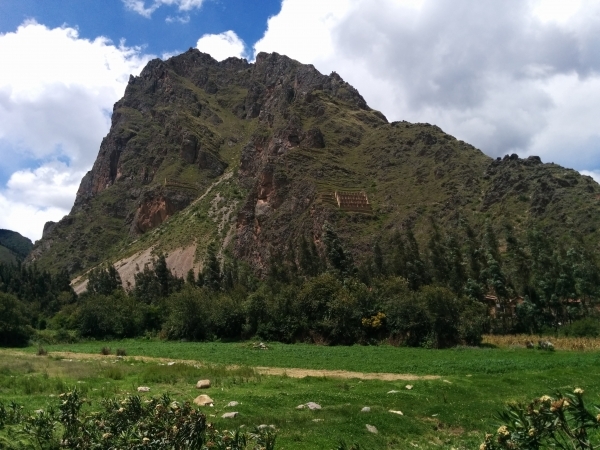 They built storage houses (Qllqas) high up the sides of mountains to refrigerate food supplies (Pinkuylluna in Ollantaytambo, also Chinchero) – sufficiently out of reach to avoid raiding by hungry townsfolk used to walking long distances up mountains. They knew how to freeze dry food (they still use the method for potatoes here) to ensure supplies throughout winter when crops don’t grow, and for ease of transport (freeze dried food is very light). The state had enough food stored to last 3 to 7 years! They also constructed terracing in natural depressions in order to create greenhouses (Moray). 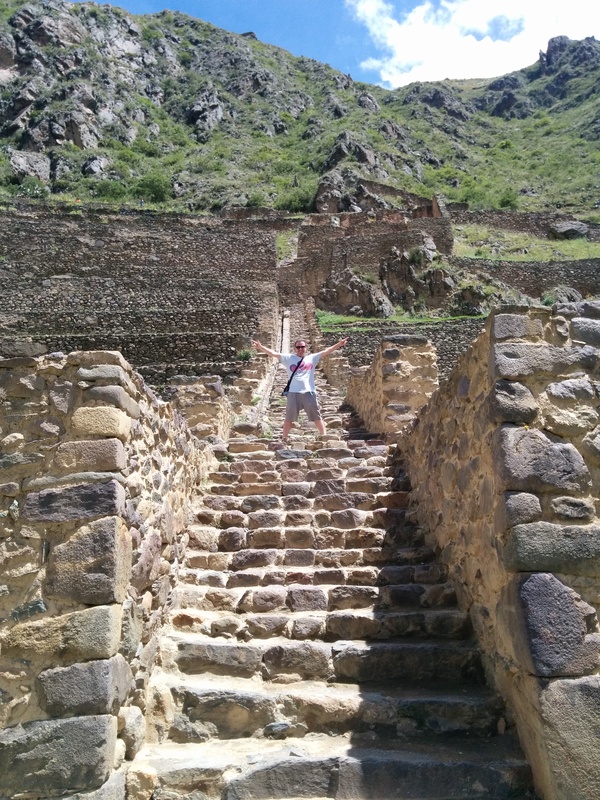 Ollantaytambo was just the start of our insight into Incas and their amazing technology and achievements – we’d see the rest over the next few days. After lunch at Hearts Cafe (great soup and sandwich! 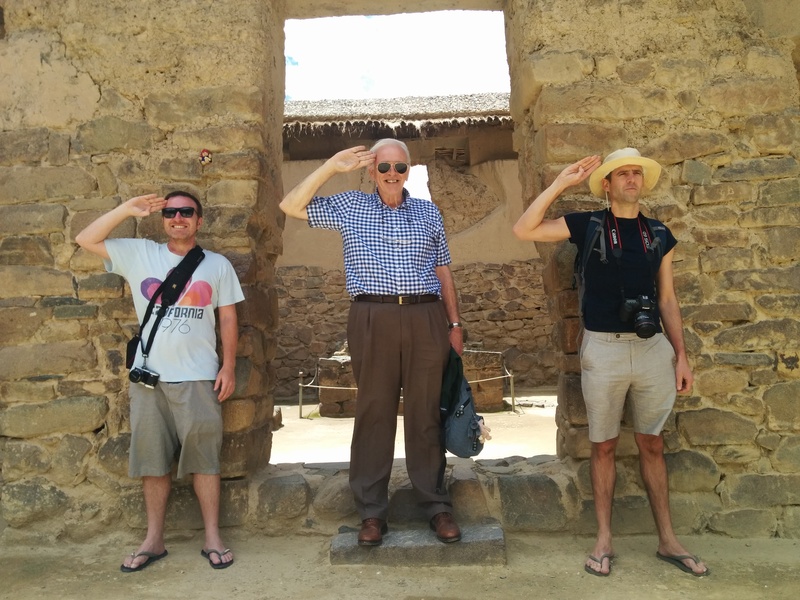 ), Dan, Jim and I headed up the mountain opposite the temples to try and reach Pinkuylluna. We took a wrong track to a watch point, and doubled back to what appeared to be a super steep and dangerous path… we paused for a bit to consider if this could possibly be the right route. We asked a couple of hikers coming down and yes, this was it. We continued a little further, but all decided it looked too precarious to try. Maybe Monday. And maybe after we’ve googled how many people have died here. 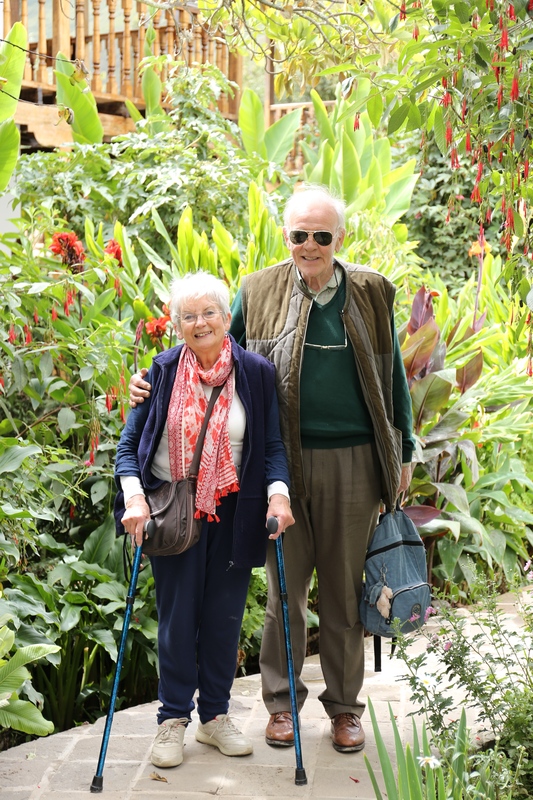 During the early evening we took a walk with Ma and Pa around the organic gardens at their hotel – llamas, vegetables, corn drying, and a pen that looked like a dinner choice: geese, turkeys, sheep, ducks, rabbits, guinea pigs.. yummy yummy. For dinner we ate at the hotel, lovely food – but even better drinks! The strongest pisco and maracuya sours we’ve had to date… couldn’t stop ordering them! We used Ollantaytambo as our base for Machu Picchu the following day (see next post). 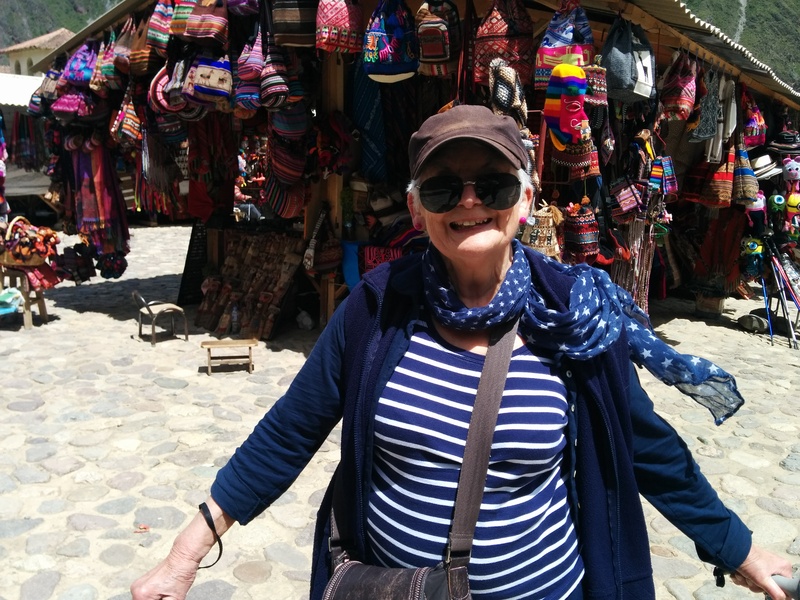 On our final morning, in beautiful sunshine, we gave Ollanta the final once over – walking Mum and Dad around the Temple of Water and the Inca Misana – my new favourite! The Misana is an area of beautiful water features (using underground aqueducts), but, more impressively, carved stonework in the side of the cliff. Steps, platforms, windows, polished seats… seemingly designed to climb to address the community, or to hold up rooves, or house idols. Mind blowing. We didn’t, however, try out the Pinkuylluna cliff climb… Ch-inka-ned out of that.